Sometimes you get the feeling that you shouldn’t hire a particular bankruptcy lawyer. This feeling can arise when the lawyer engages in salesman tactics during a consultation, won’t return your phone calls, or just rubs you the wrong way. This page will identify 3 traits that separate the good bankruptcy lawyers from the bad. We all know when a salesman is trying to sell us something. Door-to-door salesman often try to get us to buy overpriced items or magazine subscriptions that we don’t want, and attorneys can do the same thing in regards to their services. If you feel like the attorney is trying to manipulate you by false sentiments or is otherwise “acting,” don’t hire that attorney. A good bankruptcy attorney will not manipulate you into hiring them. They don’t need tricks like making you feel small in their presence or deriding opposing parties. A good bankruptcy lawyer will simply take the time to understand your case and goals, and will later tell you if bankruptcy is appropriate, and if so, which chapter will best achieve your goals. A good bankruptcy attorney will answer your questions in a way that you can understand and tell you how your property will be treated in bankruptcy. 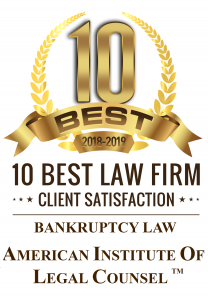 In short, a good bankruptcy attorney won’t try to sell you on their services, they will simply listen to your case and give you the information you need to make an informed decision. It’s difficult to find out beforehand whether a bankruptcy attorney will keep in close contact with you throughout the bankruptcy process. Many clients find out when its too late that their attorney is terrible at returning phone calls. Good bankruptcy attorneys understand that clients have many questions throughout the bankruptcy process, and will take time out of their day to return client calls and answer questions. If a lawyer says they already answered your question and are not willing to repeat their advice or answer, there is a good chance that they don’t want to address the subject because they made a mistake. An attorney may not want to address the subject for many reasons, but most often its because their previous advice (or lack thereof) somehow damaged your interests and they don’t want to highlight the fact. An attorney who has nothing to worry about by answering the same question again will likely do so. Good bankruptcy attorneys understand that clients are often overwhelmed by the massive amount of information that is introduced to them during the bankruptcy process, and often need to go over a topic a few times before they understand the issue. There is nothing wrong with that and a good bankruptcy attorney will take the time to educate his client throughout the bankruptcy process.